Image: Helen Sloan/courtesy of HBO. Winter is coming — finally! 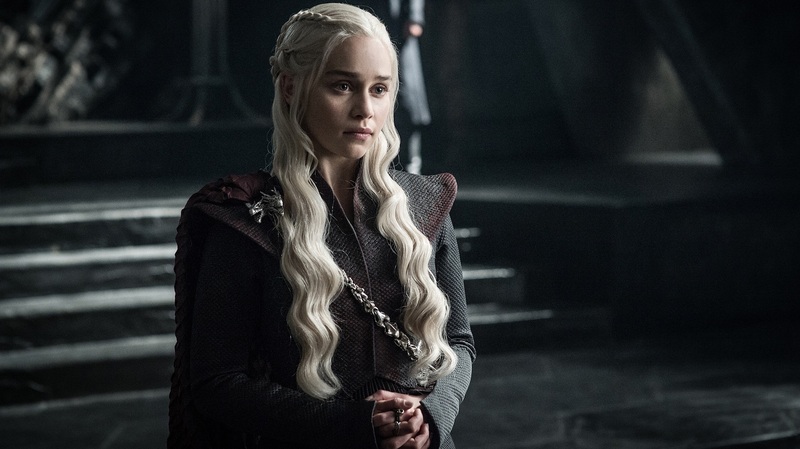 After what has felt like the Long Night to fans, HBO has announced a premiere month for Game of Thrones season eight. And bittersweetly, it’s just around the corner. Per a new teaser video from HBO, GoT will return to the small screen in April 2019. While that month has been speculated about in the past as a potential drop period, this is the first official confirmation. “Every battle, every betrayal, every alliance, every risk, every fight is all #ForTheThrone,” the promo video’s tagline reads. Did you just get goose bumps? Because we sure did. With a tagline like that and only a handful of episodes left, it’s safe to assume GoT’s last hurrah will be one to remember. While the teaser trailer doesn’t offer anything new in the way of footage from the upcoming season, it does give fans a flashback into powerful moments from seasons past. At the start of the trailer, Cersei Lannister (Lena Headey) can be heard saying, “When you play the game of thrones, you either win or you die” — words loyal GoT viewers undoubtedly recognized as part of a conversation between Cersei and Ned Stark (Sean Bean) all the way back in season one. Accordingly, anticipation over the new season is practicably palpable thanks to the absence of spoilers surrounding the remaining episodes. The show’s production team went to great lengths to make that possible, employing a “drone killer” to thwart prying aerial eyes. Naturally, though, the absence of spoilers hasn’t stopped fans from coming up with theories of their own. Per Mirror, there’s already one gaining traction about Daenerys Targaryen (Emilia Clarke). Could this be true? And if so, does it make the Mother of Dragons’ ascension to the throne more likely? Looks like we’ll all find out come April.